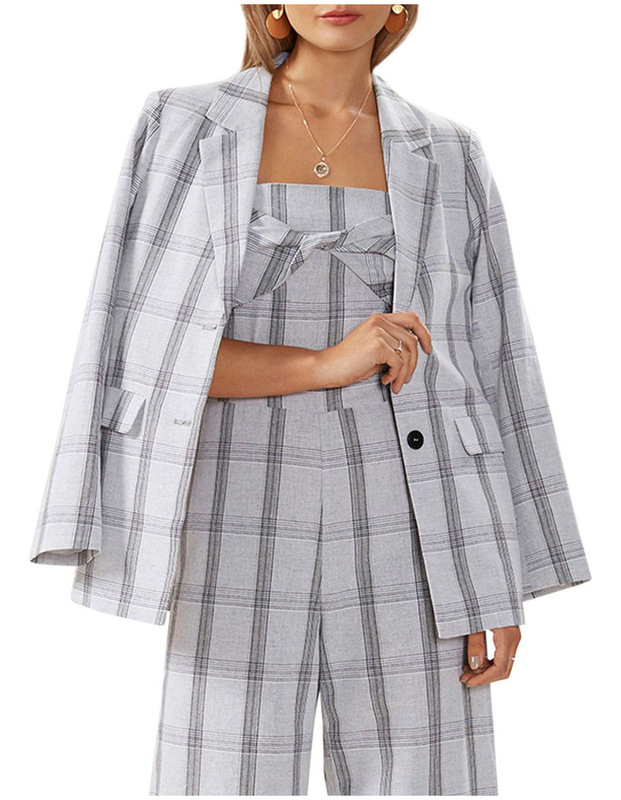 A blazer with a difference. 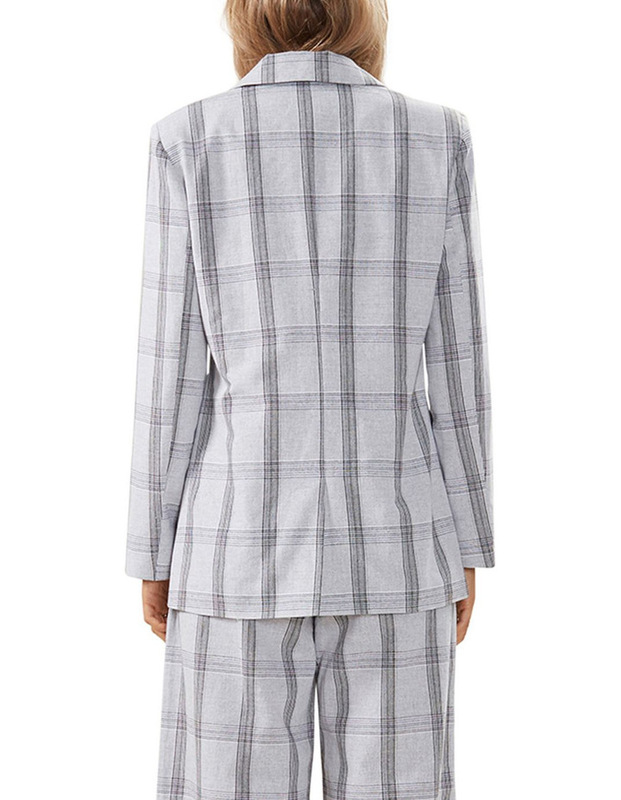 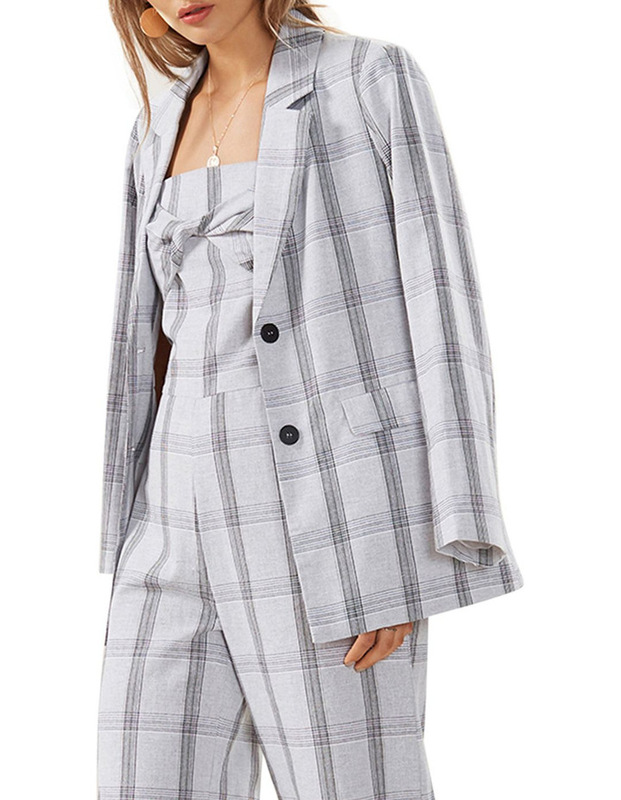 The STAPLE THE LABEL Elyse Blazer is a twist on a classic bloc with its enlarged plaid pattern. 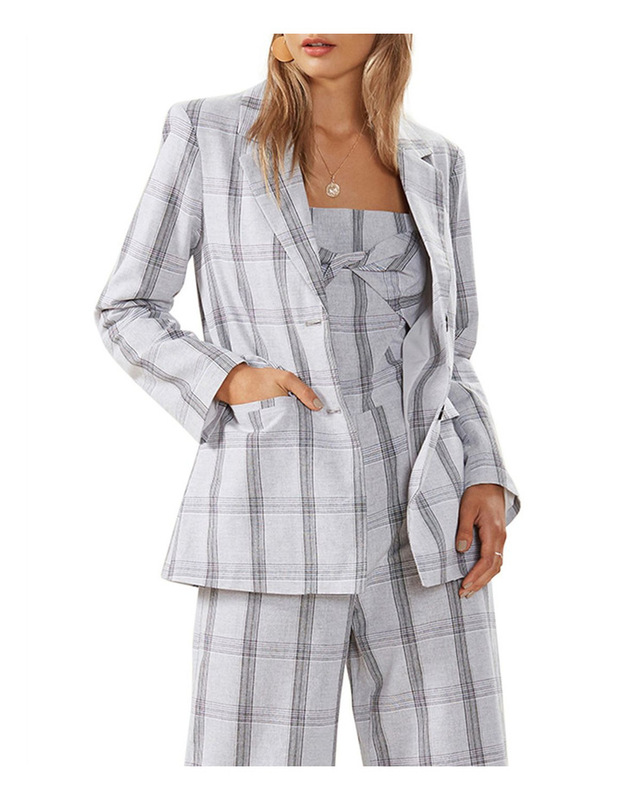 A lightweight linen blend means this blazer will carry you from season to season, from office to brunch chic.